Since the airline started to take delivery of new Boeing 737MAX 8 aircraft, there has been widespread speculation that it would use the planes – which can fly 500 nautical miles farther than its 737-800s – to begin service. And now the company has announced its intention to do just that. 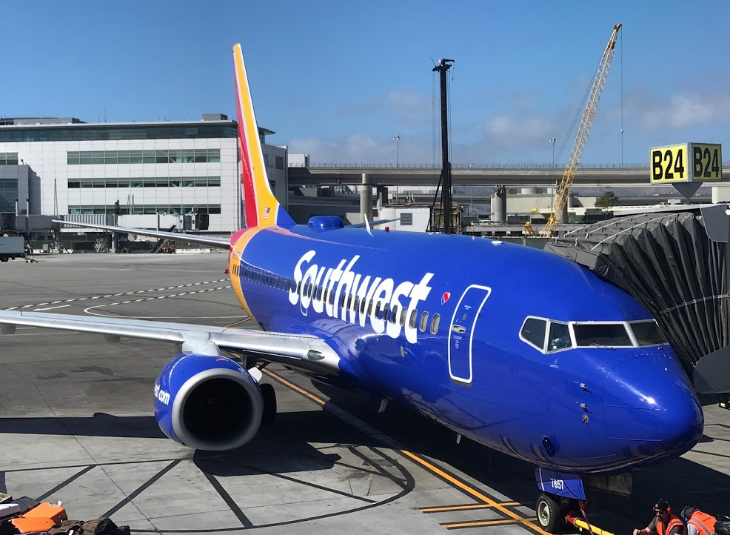 Southwest said it will seek FAA approval to gain ETOPS certification for its new 737s – a regulatory requirement for flying them to Hawaii. ETOPS stands for Extended-range Twin-engine Operational Performance Standards. Assuming it gains that approval, Southwest said it “plans to begin selling tickets in 2018 for service to Hawaii.” It’s not clear yet if flights will also begin in 2018. 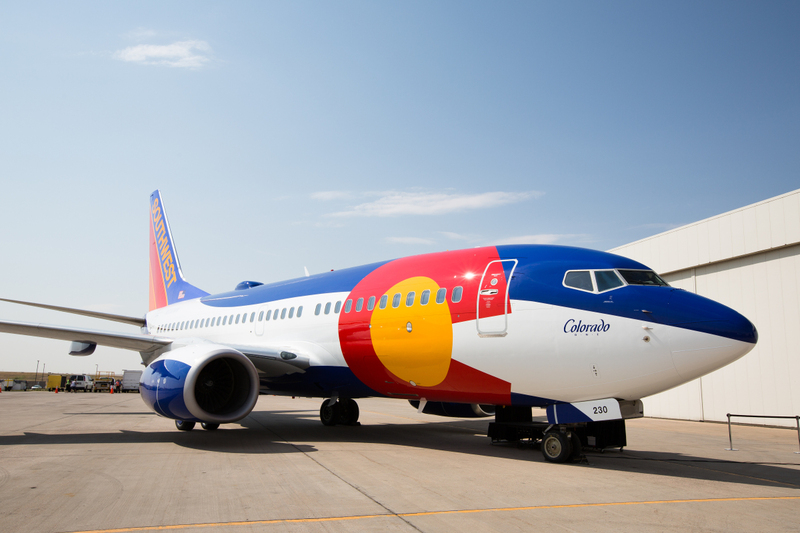 Will Southwest bring lower fares to the islands? Maybe. But don’t get too excited yet. Atlanta expected the so-called Southwest Effect to reduce fares when Southwest took over AirTran’s hub there. Instead, fares went up and the number of flights went down. 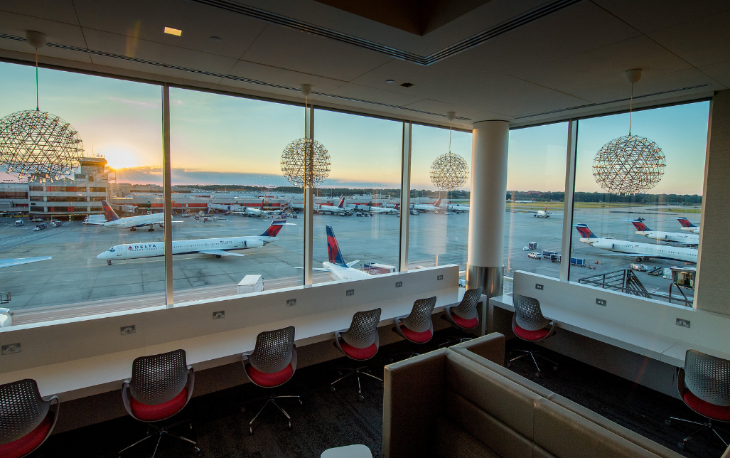 “Airfares have gone up so much that Atlanta had the largest year-over-year increase in average domestic fares in the country,” reported the Atlanta Journal-Constitution in 2014. 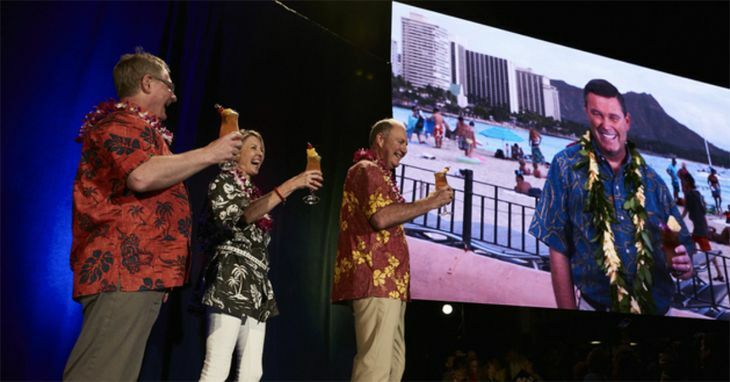 However, the move should provide a boost to Southwest’s Rapid Rewards program, which has always suffered from not having the reach of other airline programs that can fly members to Hawaii or around the world. 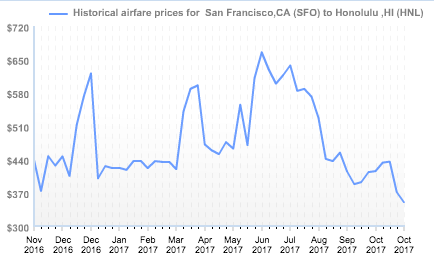 My best guess is that we’ll enjoy a temporary decrease in fares as airlines compete with Southwest on introductory fares, but in the long run the lowest fares will remain about the same, currently, stubbornly, rarely sinking below the $400 average roundtrip. Why? 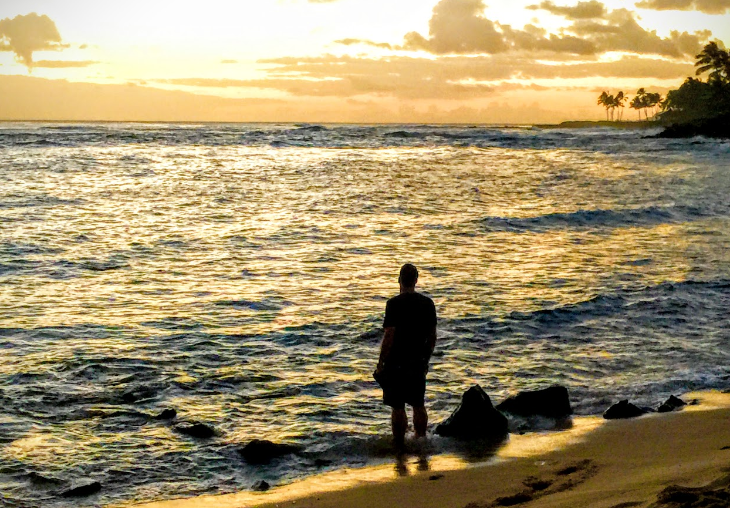 Because it’s not cheap to fly to Hawaii— it’s about 2,500 miles from the US west coast, a route that requires more fuel and more expensive planes. 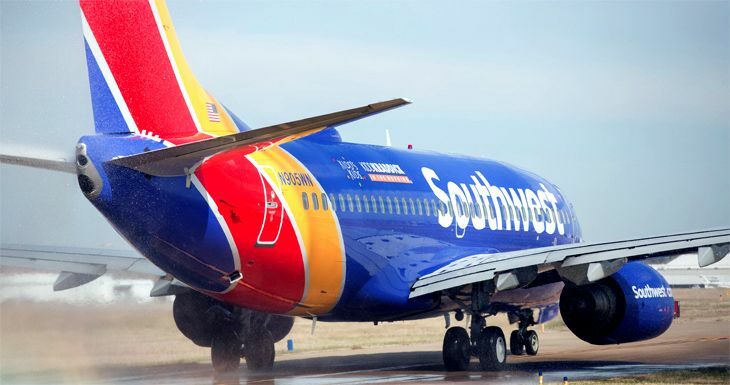 And increasingly, Southwest’s recent moves have shown that it’s not always a low fare leader. That statement is probably a reference to something called the Southwest Effect – a concept introduced in the 1990s in a Transportation Department analysis of domestic airline competition. Back then DOT found that whenever Southwest enters a new market, it tends to result in an increase in traffic and a reduction in fares for all competitors in that market. 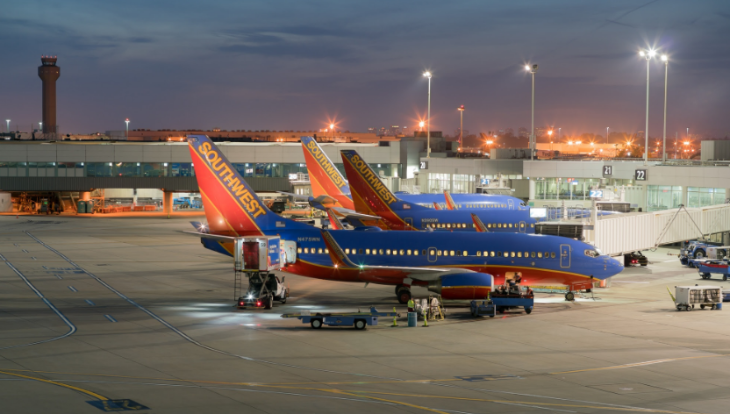 Related: Is Southwest really a low fare carrier? 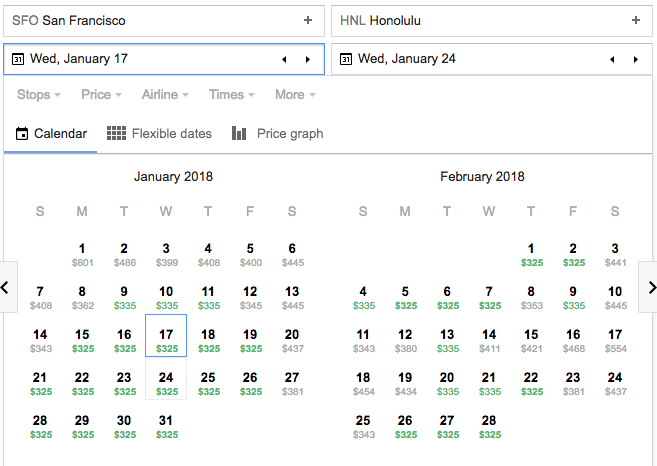 In a recent detailed analysis of the likelihood that Southwest would start flying to Hawaii, the financial website Seeking Alpha predicted this would likely lead to a fare war. 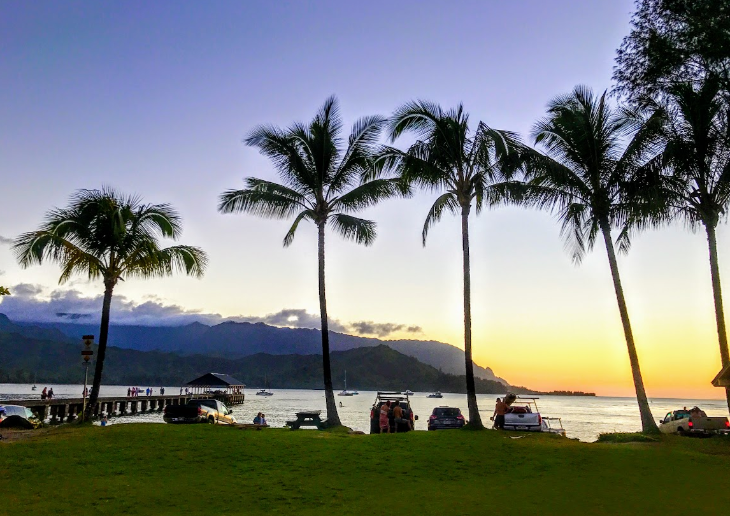 “In our opinion, the most important impact of the Southwest Effect in Hawaii is that it tends to lead to a dramatic reduction in fares, given that we believe travel demand to Hawaii is relatively inelastic (so passengers are unlikely to increase much),” the website said. 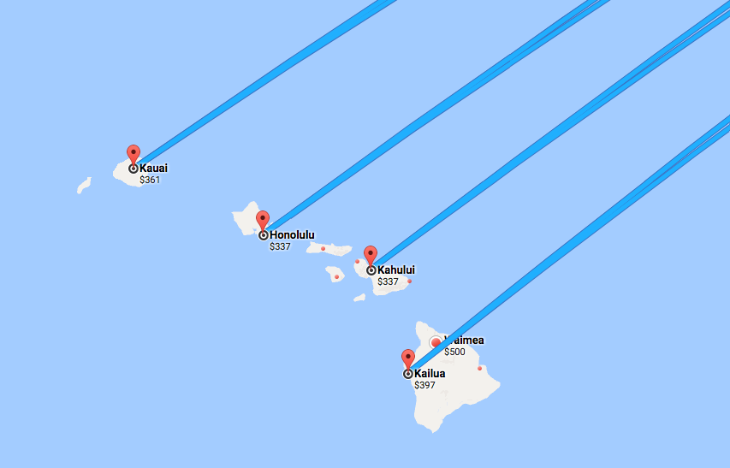 Seeking Alpha predicted that Southwest “could easily add at least 10 daily flights to Hawaii, to start with.” Based on the amount of market share that Southwest controls, it suggested that likely airports to host Hawaii flights would include Los Angeles, San Francisco, Oakland, San Jose, Phoenix, San Diego, Seattle and Portland. 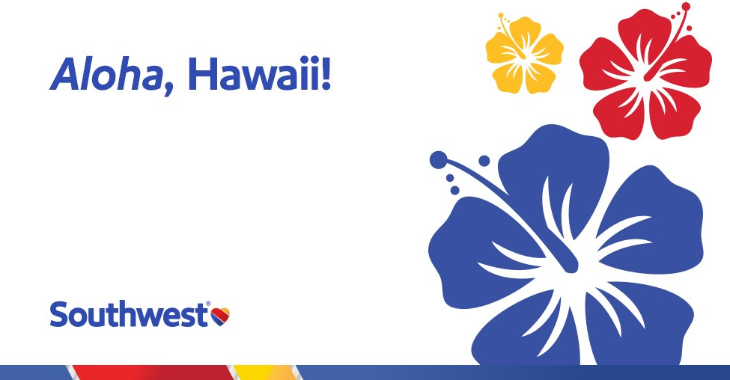 What do YOU think will happen to Hawaii fares when Southwest enters that market? 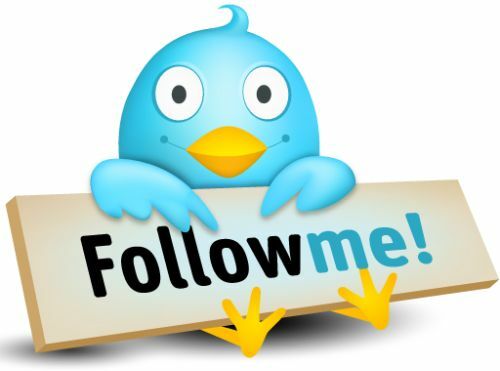 Leave your comments below. Today JetBlue launched new nonstops between Atlanta and Boston, sparking one of the craziest fare wars I’ve seen to date- even in first class. As of today, JetBlue is selling roundtrips as low as $109 on its five ATL-BOS flights per day. That’s crazy. But even crazier? Spirit Air, which offers one daily nonstop, is selling seats for just $80 roundtrip (plus fees). Delta, long the major player in this market (with 11 roundtrips per day), seems to be keeping above the low-fare fray, but just barely. Its lowest round trips are going for just $136 roundtrip. But for $136, you get one of Delta’s new bare bones basic economy fares. 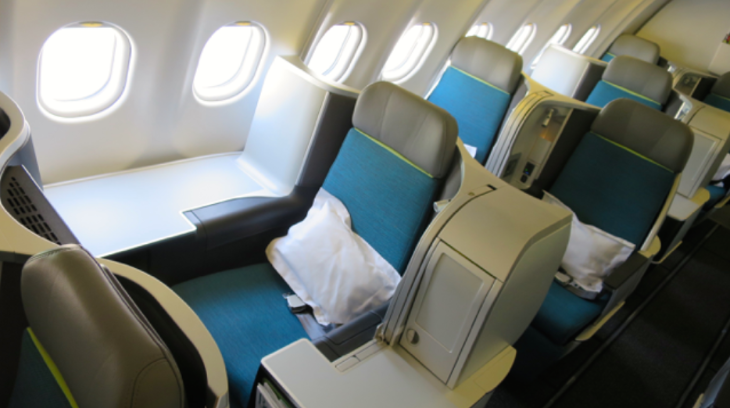 For regular main cabin seats, you’ll pay $165 roundtrip– still cheap by historical standards. Delta is also discounting its first class seats on ATL-BOS— a nice upgrade for the 2.5 hour flight! 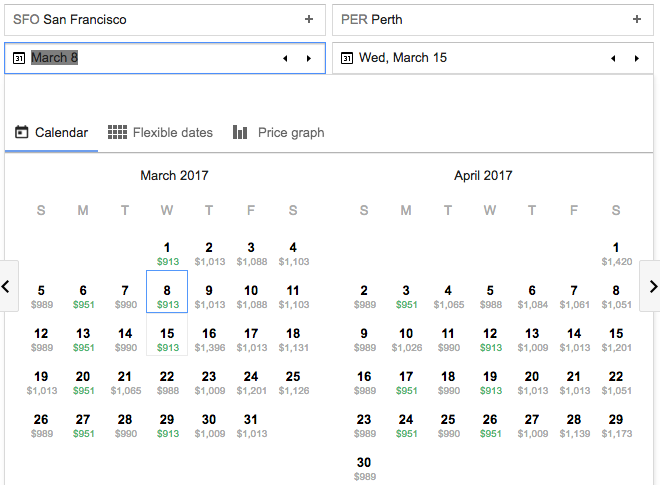 We’ve found found first class round trips for $335 to $475 in April and May. 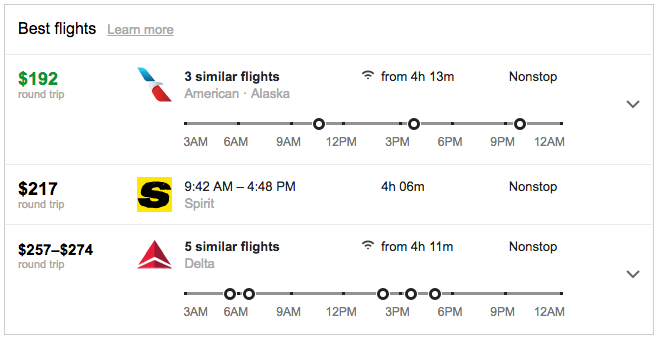 Southwest has jumped into the fray as well… with roundtrips going for as little as $121 round trip on its three daily ATL-BOS nonstops. Last week JetBlue announced that it was fighting a decision by ATL authorities to make it use gates in ATL’s Concourse D when it was told it would be able to use gates at the much nicer Concourse E. As of today, the issue has not been resolved, and JetBlue is using gates in both D and E concourses according to a spokesperson. In any case, these are great deals for Bostonians who’d like to soak up some southern springtime hospitality. 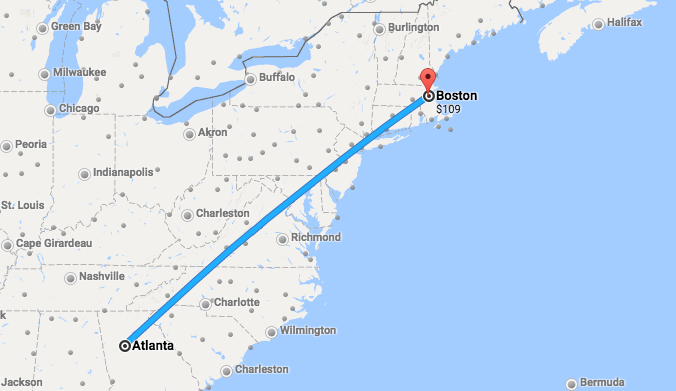 They are also perfect for the many cash strapped students traveling between ATL and Boston– or elsewhere. 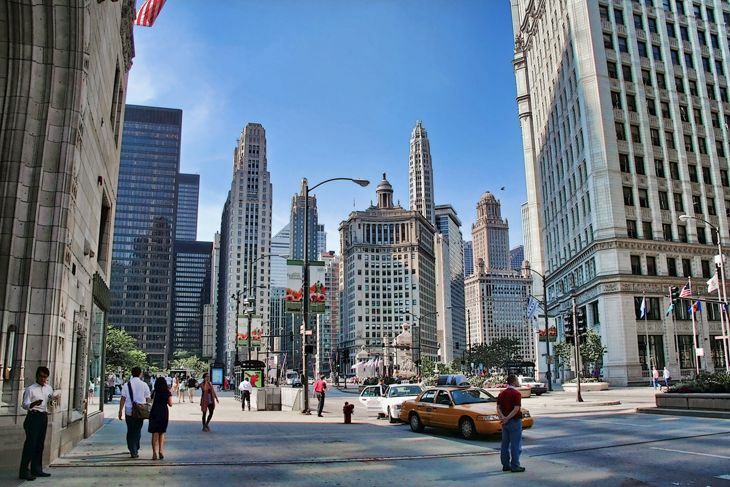 Go get some beans with these low fares! Note: These fares were available on Google Flights on Thursday March 30 and are subject to change. 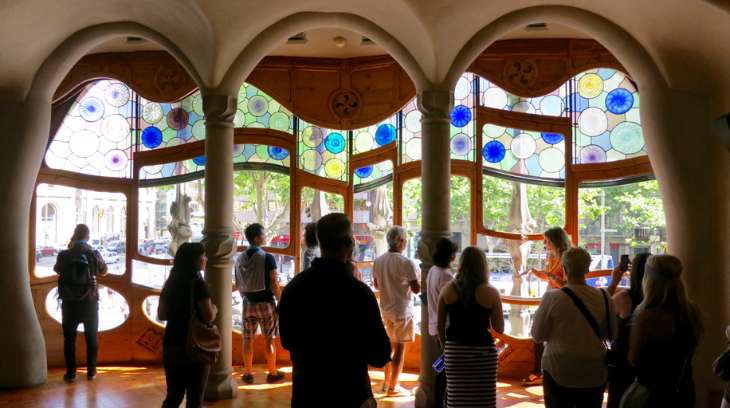 Looking for a nice, easy trip during one of the slowest travel periods of the year? Maybe you are taking a mileage run? 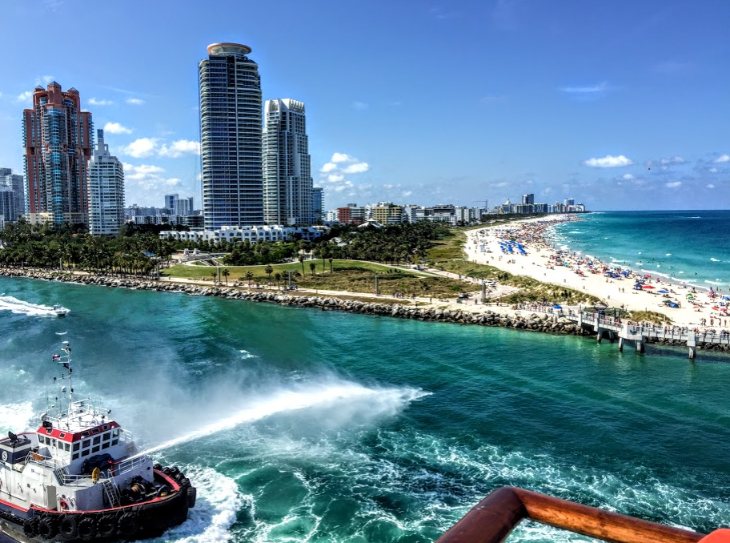 Then take a look at these fares for transcontinental trips (East, West coasts & Florida) during the first two weeks of December. 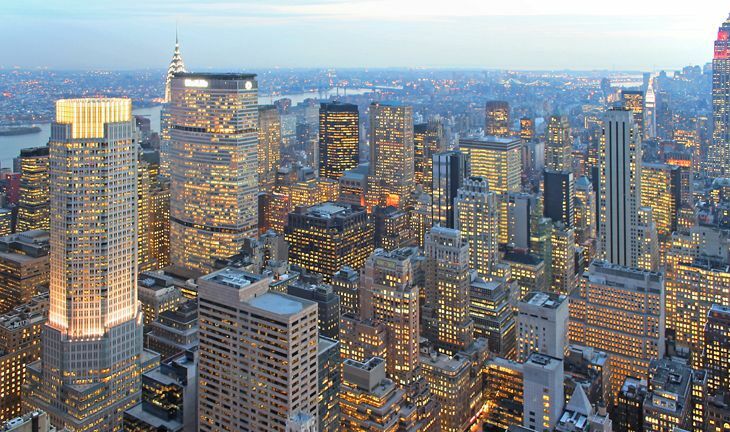 Starting on the Tuesday after Thanksgiving (Nov 29) and running up until the Christmas holiday peak, fares are just $267 round trip on all carriers flying between San Francisco and New York City. 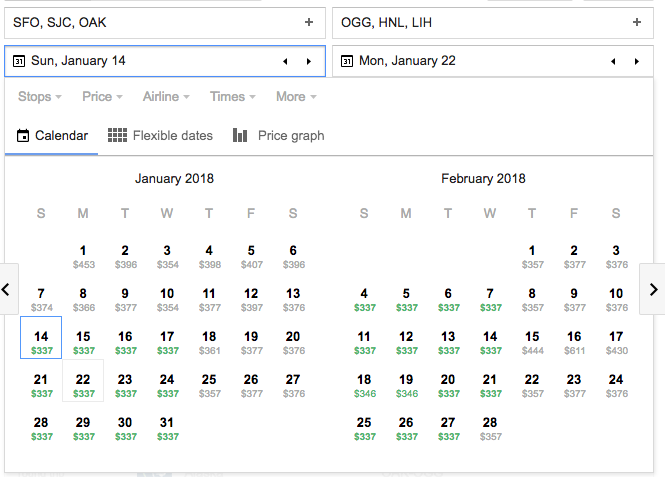 Fares are slightly higher at around $285 round trip between Los Angeles LAX and New York City, too. Any time I see a California-New York nonstops drop below $300 I know I’ve got a great deal on my hands. And it’s not just California– lowest fares are running at about $282 between Seattle and New York, too on Delta, Alaska and JetBlue. And for New Yorkers headed west, December is a fabulous and festive time to be in Wine Country. And in LA and SoCal, you can still go to the beach. 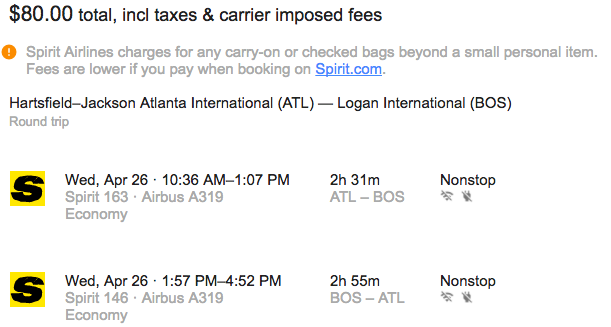 SFO-Atlanta is super cheap in December, too. 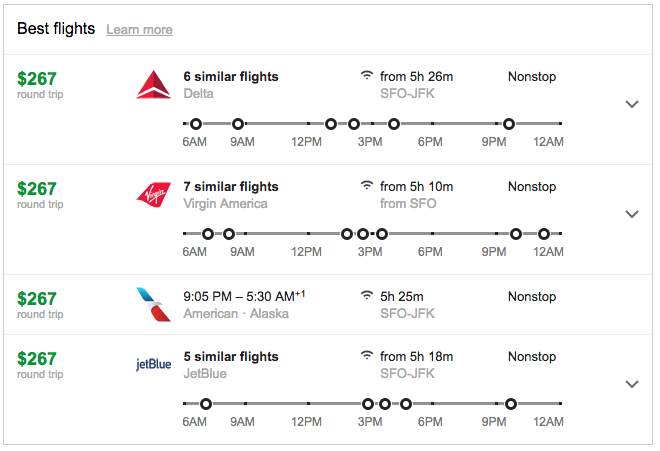 I’m looking at just $248 round trip on United’s ATL-SFO nonstops. Delta’s are higher, but still a bargain at about $313. If you are willing to chance it with Frontier on ATL-SFO, you can go for $197 roundtrip, but you’ll pay dearly for extras like checked bags. 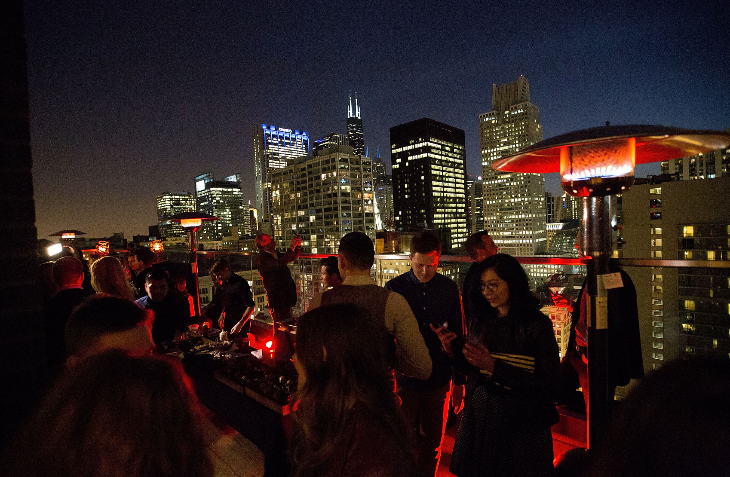 And hold on… are you ready for it? You can fly nonstop between LAX and Atlanta during December for just $192 roundtrip on American! Delta is slightly higher at around $260 round trip. From LAX there’s even more! 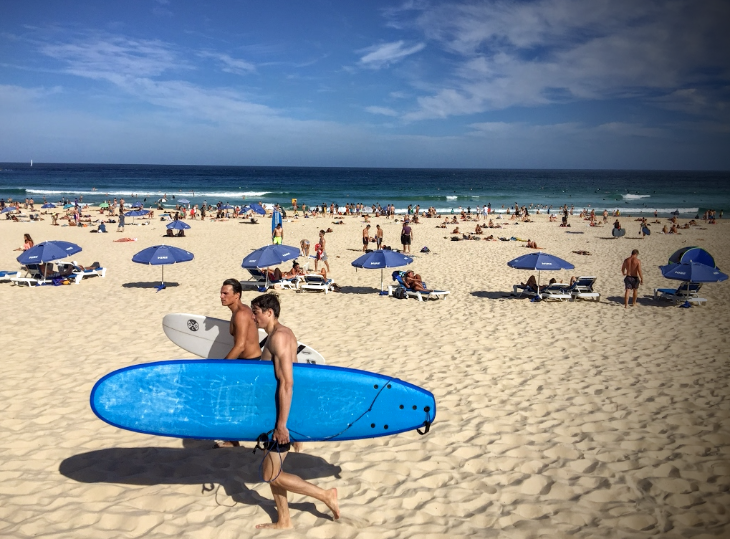 Check Google flights on LAX-Ft Lauderdale or LAX-Orlando and you’ll find roundtrip fares in the $200 (or less!) range. Vamos! NOTE: These fares are available on Google Flights Wednesday, Nov 2 and subject to change. Airfare war in the wings? Airline stocks sold off sharply this week as Wall Street got some jitters about the industry’s ability to maintain its high levels of profitability. 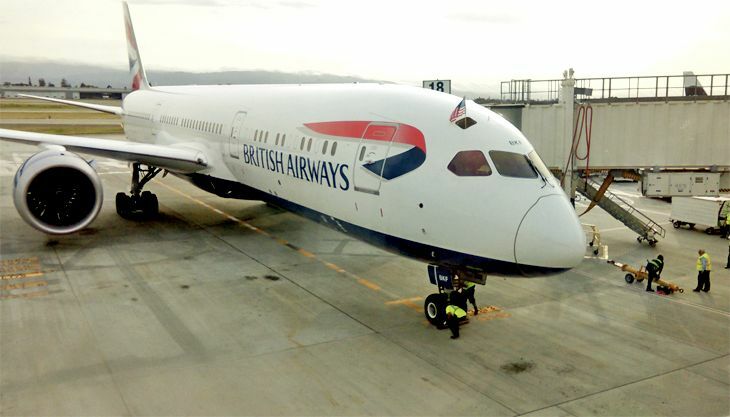 The fears may have been caused in large part by an interview that American Airlines CEO Doug Parker gave to Bloomberg News in which he said his company will “compete aggressively” against rivals that cut fares and add capacity. 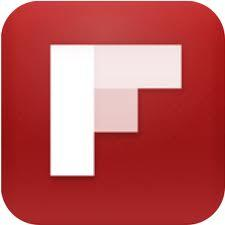 “We’re not going to lose customers on price,” Parker told Bloomberg News. The prospect of a summer fare war is more credible this year considering that the airlines are spending a lot less on fuel thanks to the low level of oil prices, so they have more flexibility on pricing. And airlines have been moving toward capacity increases as demand remains strong. 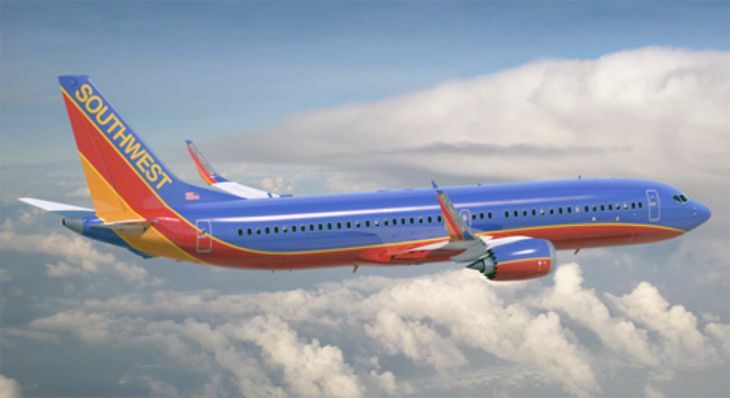 Southwest, for instance, said it expects to grow its capacity by up to 8 percent this year. Still, we’re not so sure that fare wars are in the cards for this summer, especially when you look at the supply/demand balance. 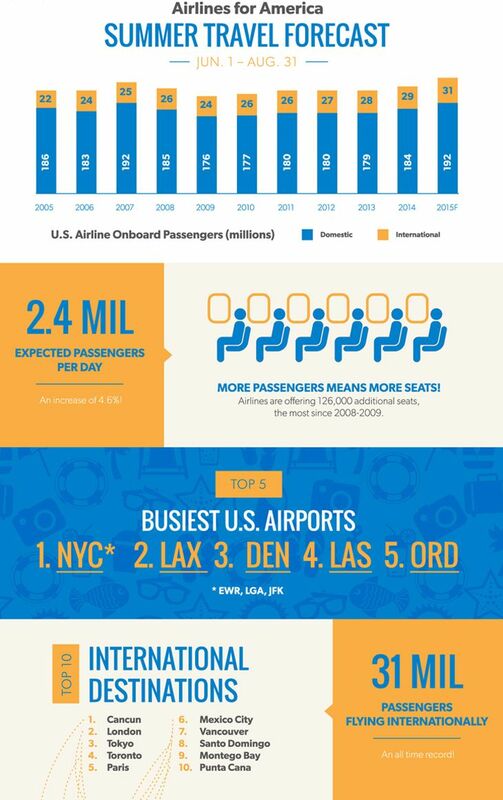 Airlines for America (A4A), the trade organization for U.S. carriers, recently came out with its annual summer travel forecast, and it did in fact predict that airlines’ total capacity during the June-August period will show a 4.6 percent increase over the same period last year. That’s an extra 126,000 available seats every day this summer. But at the same time, the organization said it expects to see 2.4 million people flying every day this summer. That’s an increase of 4.5 percent from last year, or an extra 104,000 a day. In other words, almost all of the increased capacity during the peak summer season will be taken up by increased passenger demand. A4A said the expected total of 222 million passengers flying on U.S. carriers this summer would be the highest level ever; that prediction includes 31 million travelers on international flights — also a record. If we are going to see airlines competing more aggressively on fares, that’s more likely to happen during the fall season, when vacation travel falls off and much more of that extra capacity will go begging. Here’s a graphic summarizing A4A’s 2015 summer air travel forecasts.